The legendary MineSweeper lands to Minecraft. MineSweeper 1.7.2 is a mod that handles to change the generation of worlds in Minecraft, adding a new kind of dungeon. Inside you will find the legendary game MineSweeper, which works as it was used to play. To start, you simply have to select the squares with the left mouse button, and the right button to choose which ones you think hava a mine. 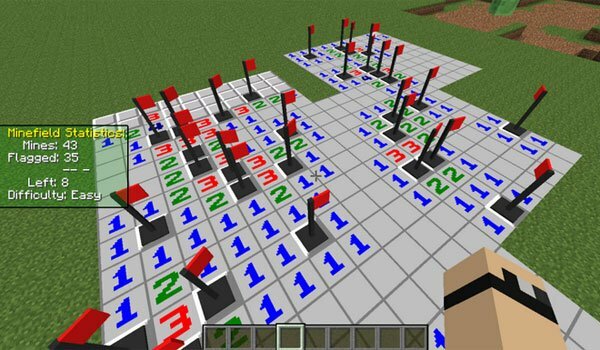 How to install MineSweeper Mod for Minecraft 1.7.2? A new mini game inside a dungeon!